Choose a soil penetrometer for your next soil testing job! Our complete line features a wide variety of different soil penetrometers to meet the needs of most soil test applications. Our soil penetrometer testing tools for sale features the Soil Pocket Penetrometer that is a lightweight, direct reading penetrometer that gives instant classification for your soil test. For the more demanding test, our Aluminum Soil Pocket Penetrometer is the right choice for reducing human error in the classification of cohesive soils. The Soil Pocket Penetrometer Adapter Foot Attachment fits both pocket penetrometers and is used in soil tests that require extremely low strength tests of cohesive soils. Need a large dial gauge for readings? 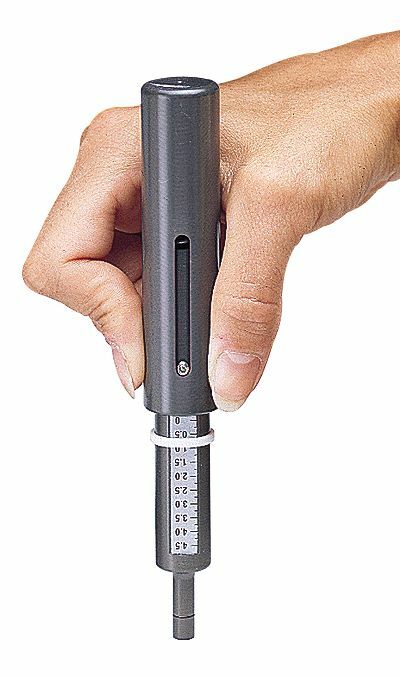 The Dial Geotester Pocket Penetrometer has a 2.5in large dial and can be calibrated by the user. The Geotester gives strength readings for a variety of cohesive soil types. Fine grained soil can be tested in the field using the Proctor Penetrometer Set. The penetration resistance can then be compared to similar tests observed in the lab. The Proctor Penetrometer Set includes a variety of threaded needles for almost all shear strength tests. Our Static Cone Penetrometer is the perfect choice for evaluating soil consistency, compaction, and bearing capacity of foundations and pavement subgrades. The Dynamic Cone Penetrometer (DCP) provides the fastest field determination of soil shear strength up to 6 feet of depth. Whatever the soil application, Certified Material Testing Products has the right pocket penetrometer price. All soil penetrometers for sale are in stock and ship the same day as your order. Buy today!